The original delicious Aperol Spritz: a mix of Aperol, Prosecco and sparkling water. Refreshing and slightly bitter. Place a handful of ice cubes in a large wine glass and add 3 parts Prosecco, 2 parts Aperol and a dash of sparkling water. Add a slice of orange for a finishing touch. 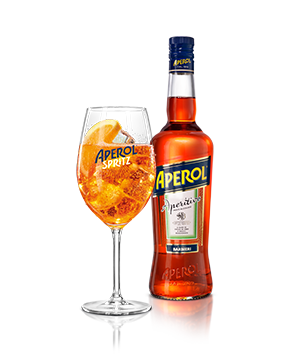 Aperol is a drink with a very low alcohol by volume level, only 11%. The combination of gentian, bitter orange and rhubarb give Aperol its bitter-sweet taste. 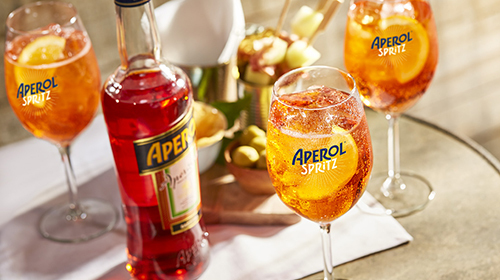 For an easy life, we offer Aperol Spritz ‘Ready to Serve’, served ready mixed in a bottle (3 x 17.5 cl). Originating in Northern Italy, a popular summer drink perfect for sipping outdoors.